Of course, it is no surprise that the culture has formed with these elements at play, guiding and sculpting it, much like a mighty glacier does to the volcanic landscape. As a result, Icelandic food and art and leisure are intricately woven together with the power that fuels the fire and ice. To be honest, I have to say that a lot of the Icelandic landscape was underwhelming. Flat lava fields, very few trees and mountains a lot smaller than I expected and that I am used to seeing in the Western United States. So not every moment or even every day was a WOW. But the features that stood out were truly remarkable. Some things I saw I have not seen anywhere else. And I am not sure that I ever will. 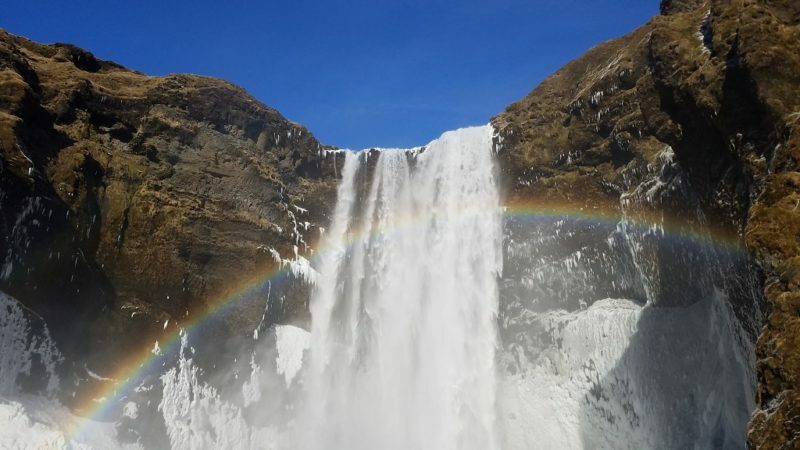 Iceland is so full of natural phenomena that it is really hard for me to pull out a handful of exact places and say “this is a must do.” As I explored, I realized that some general themes kept repeating as “wow, that was wonderful”. 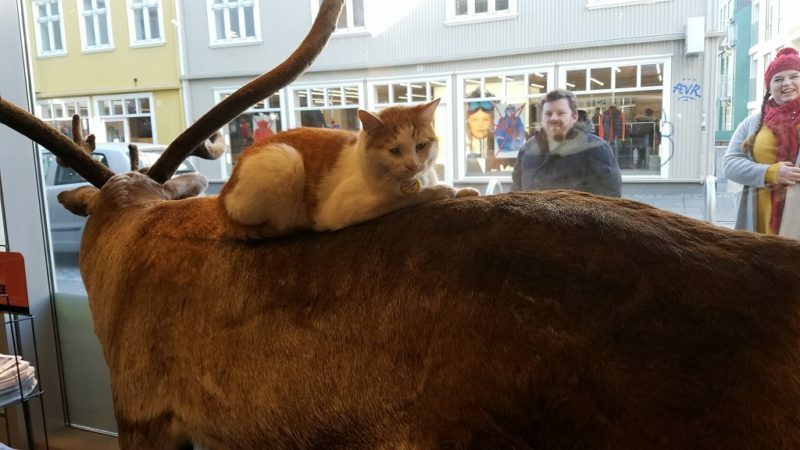 So, I decided to list my “Top 5 Things to Do in Iceland” as categories or types of experiences, instead of specific places to visit. Half of Iceland is on the Eurasian plate and the other half is on the North American plate. And they are pulling apart at the rate of about one inch a year. Doesn’t sound like much. Until you see all the hot springs and steam vents and fumaroles and geysers. If pressed for “what is your favorite part of Iceland?” then the geothermal water would emerge the clear winner. Without a doubt. I hit seven different pools and three of them multiple times. Every day I had access to hot water, you can bet I indulged. Just so you know, the private spas tend to be $40 and upwards for admission. The public ones are about $10. Locals may know about free ones (sometimes an entire flowing river of hot water) that are hidden and require hikes to reach. The Blue Lagoon is the most visited attraction in all of Iceland. Read here to see why I was totally enthralled by something that is so touristy. Mývatn Nature Baths in Northern Iceland are the less touristed version of the Blue Lagoon and perhaps is my favorite. In addition to private spas, each town will have their own swimming centers. Laug translates to pool, so look for laug on Google Maps. They contain a warm swimming pool, hot pots, and steam rooms. To remind you, all of this hot water emerges from openings in the earth piping hot. Of course, this is why access to hot water is so abundant in Iceland. Then there are the other geologic features that go along with geothermal activity. Geysir is like Old Faithful and dependably spits steam 40 feet or more in the air, every 10-15 minutes. Expect to view it with 1,000 of your closest friends. 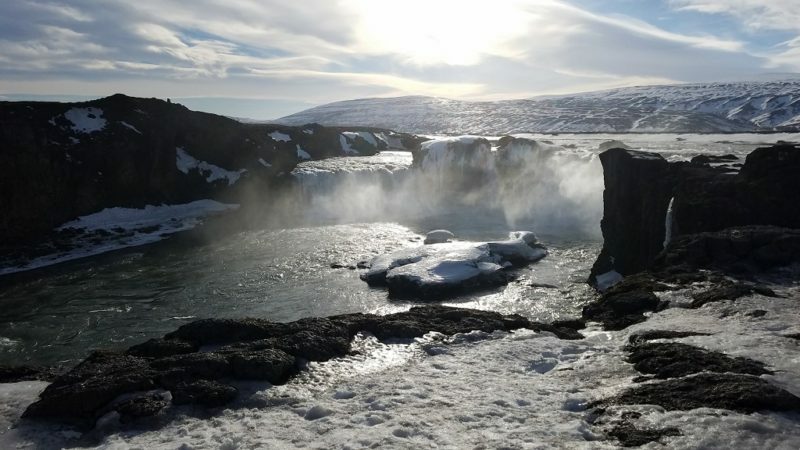 Yet for a quick stop on the Golden Circle circuit, it’s worthwhile. 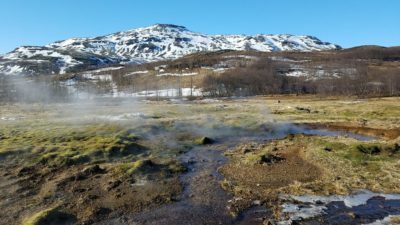 At Geysir, you will get a taste for steam vents, as they have a few scattered around. However, I saw the coolest steam vents at Hverir, about ten miles east of Mývatn Nature Baths. Driving around the bend and seeing steam rising out of the mountains piqued my interest. It was one of the coolest things I had seen in all my time in Iceland. 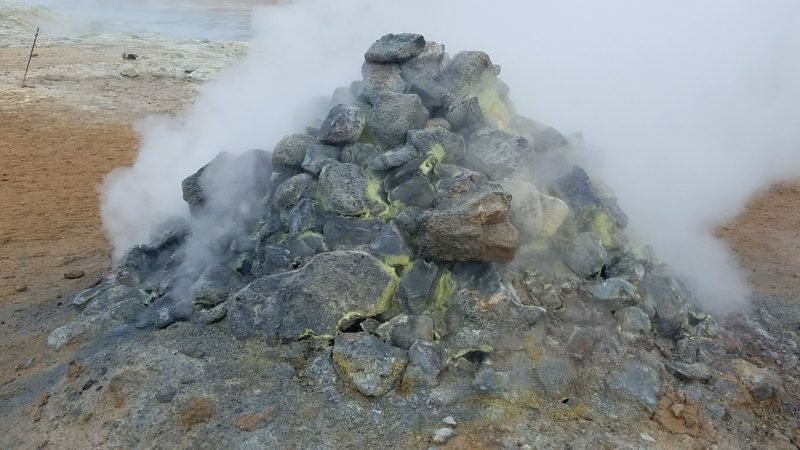 There were steam vents that were made of piles of corroded green rocks four feet tall. I could get close and not feel the heat, as it all was directed in one direction. There were other random spots in the mountains where steam poured out too. And pits of mud, boiling up as if in an angry cauldron. The macrocosm of the earth belching and spewing excess heat makes you realize how alive it really is, right below the surface. In Icelandic, the word foss means waterfall. Seeing signs for Dettifoss, Selfoss, Skogafoss and AnythingElseFoss means you will are within grasp of a waterfall. Many of them are not far off the Ring Road, and I am sure this is not by accident. The upside being that you can hit a lot of them, the downside being, everyone else is thinking the same thing. I was in Northern Iceland first and will admit that the superlative descriptions I heard for the northern waterfalls set me up for a bit of a letdown. For instance, Dettifoss is described as the waterfall with the most volume in all of Europe. This is a lot of water, but it did not reflect the grandeur that I anticipated. I guess it just goes to say you have to be careful about understanding what the superlatives mean. So, I thought the 144-foot Dettifoss was handsome, but not particularly grand. 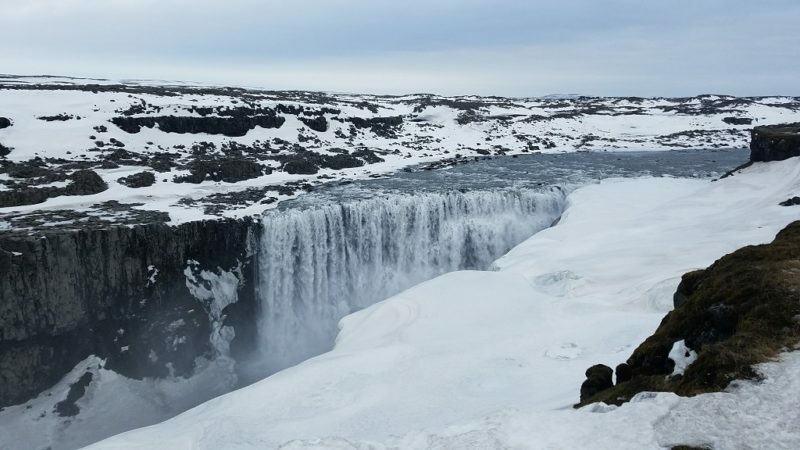 This being said, the stark white and black landscape, the harshness of the unforgiving basalt columns and the close proximity to yet another waterfall (a diversion on foot) certainly puts it on the map with good reason. In Northern Iceland, Godafoss, which is only 39 feet tall is the most scenic. Perhaps it’s because you can walk very close to where the river suddenly curves around to rush down the fall. Maybe Godafoss was in all its glory that day. I hit it when it was sunny and the light glistened off the nearby snow and ice. Now Southern Iceland had some waterfalls to behold! On the whole, they were taller and, to me, that made them much more dramatic. 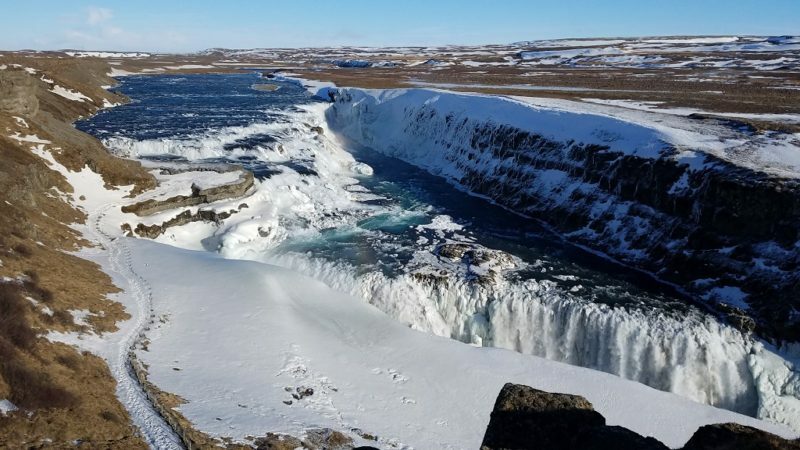 Gullfoss is on the Golden Circle and what made it special was that it was two tiered. And the amount of mist that shrouded it. There are also two different platforms to view it from, providing different vantage points. A day trip on the Ring Road east of Reykjavik will have you drooling over the waterfalls. They are tall and well fed from the many rivers that originate in the mountains above. The sheer cliffs provide a backdrop extraordinaire for the voluminous waterfalls to dance over. If you have any choice with weather, do try to hit them on a clear day. The steady mist is fodder for the broad and ever shining rainbows. They are gorgeous. I live in a region that I previously said has the best drinking water in the world. Now I can say the Pacific Northwest has the second-best drinking water I’ve ever had. Most of us take drinking water for granted, which is a big mistake. A lot of the world does not have access to clean drinking water and when we travel to those regions, we must resort to UV filters, iodine, or bottled water. Well, crystal clear, pure as it comes, drinking water is abundant and free all over the country, so drink up! The Blue Lagoon has decorative fountains that are forever pouring out cold water. While you are getting hot in the pool, just refresh yourself with this liquid gold. Other hot springs have their version of such, even if not as fancy. While the hot springs are health promoting, they can be dehydrating at the time. Remember to stay hydrated. 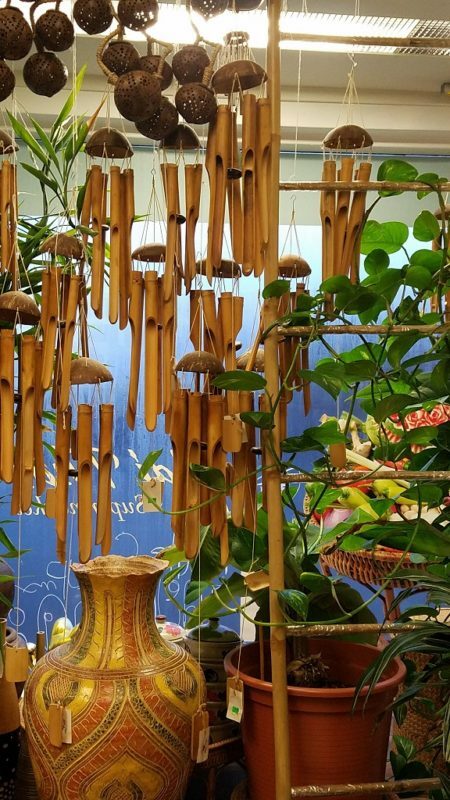 But beyond the obvious health aspects, you’ll feel like you are in the Garden of Eden and rejuvenated. Tap water is 100% safe all over Iceland and all restaurants serve it upon request. The best water I had was while snorkeling the Silfra Fissure. 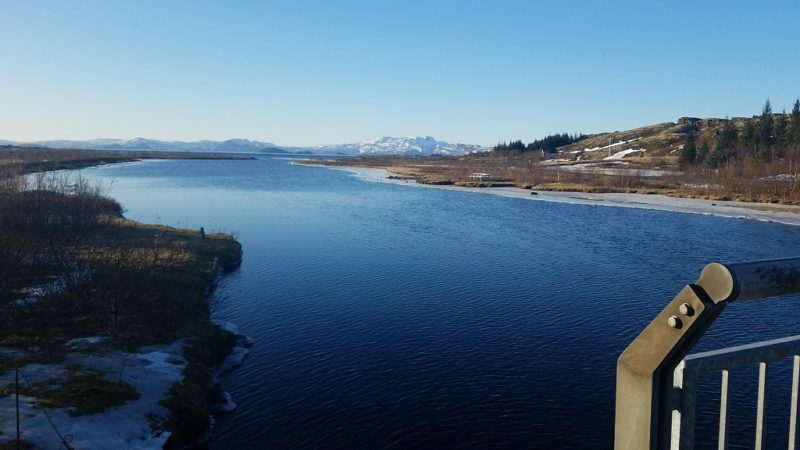 It originates in the Langjökull Icecap and is filtered through lava rock for 30 years before being deposited in this slow-moving river. It is the perfect storm for heavenly water, if there ever was a thing. 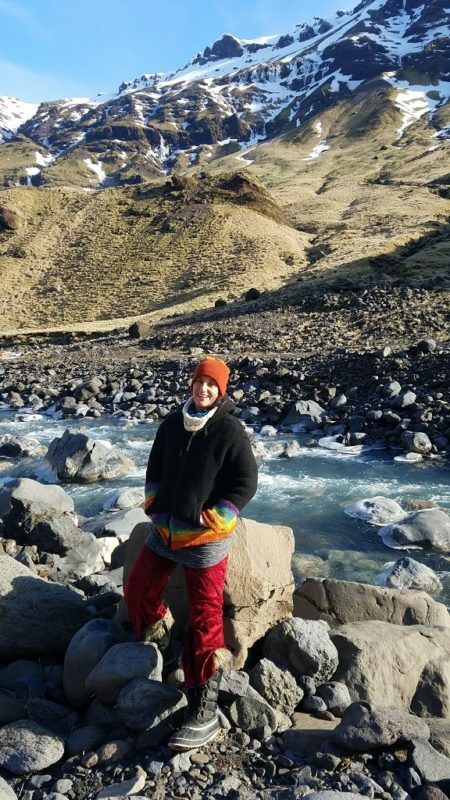 If you ponder that Iceland has a small population, few polluting industries, and a lot of rivers and glaciers – you will understand why this paradise exists. 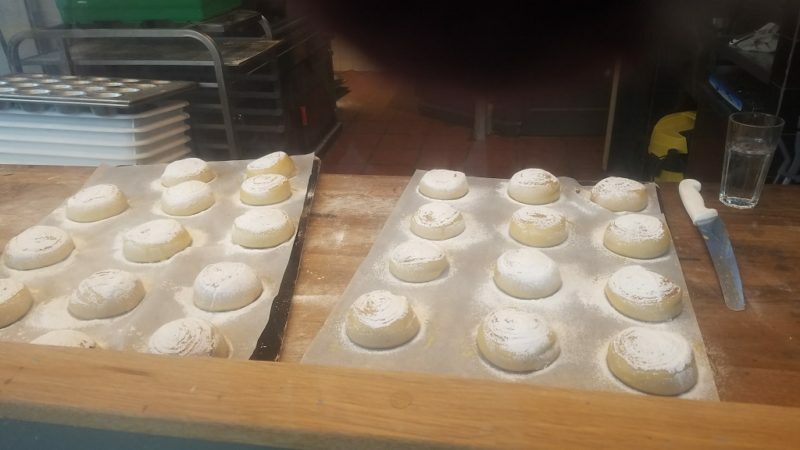 Not being a big baked good consumer, I was totally taken off guard by how consumed (euphemism for obsessed) I became for the wide array of yumminess that was being offered at the local bakeries. Scandinavian style breads are the norm in Iceland, lots of rye and sourdough bread. Often very hearty and dense. Even muffins may be made of rye (sweetened with dates and chocolate chips). 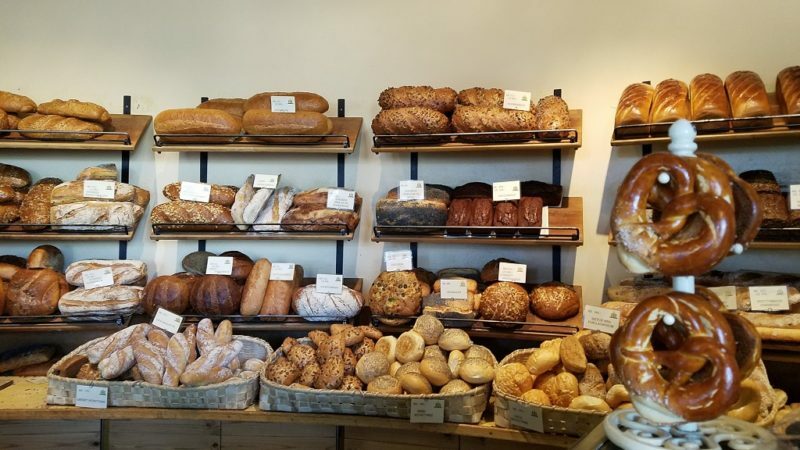 Perhaps what I found most appealing about the bakeries was that their pastries and breads were rustic style and not too sweet. I could focus on the flavor without being overpowered by sugar. Each little town has its own bakery or two. When you are there, you should ask the locals, or google bakerí, so you can be sure not to miss out. Reykjavik has lots of bakeries. Braud & Co turned out to be my favorite. I read about it in David Lebovitz’ blog. And then read about it on other sites about Iceland and met locals who loved it. So there seems to be consensus that Braud & Co has the best cinnamon buns since sliced bread (AND the best bread, although they can’t slice it for you). The buns are served in the morning. If you have the opportunity to get one (or two or three) straight out of the oven, please do! Iceland’s croissants could hold their own with those in France, which is saying a lot. Flaky in every bite of buttery perfection. Braud & Co has a cinnamon croissant that is shaped like a cinnamon roll but has the texture and taste of a croissant. 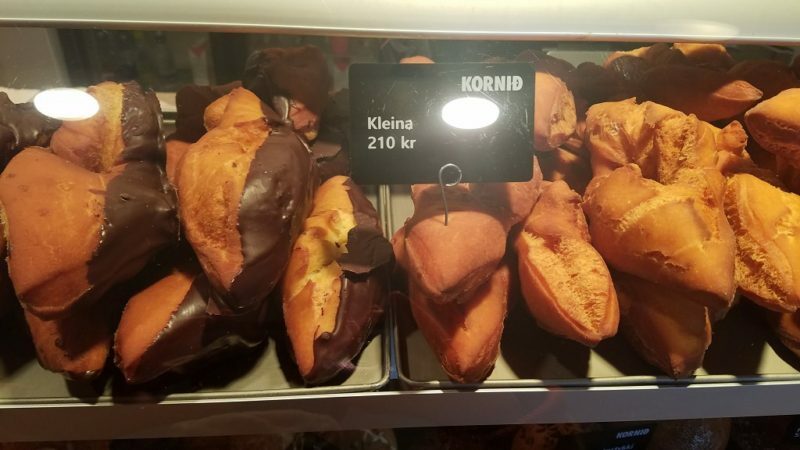 The kleinas are one of Iceland’s signature breads. Essentially, they are plain donuts shaped into a knot and then fried. It may not sound extraordinary, but I assure you, it is. All the baked goods would be the perfect souvenirs to bring back to friends, if you will see them as soon as you return from Iceland. Baked goods are sublime, but sadly, fleetingly so. On a similar trajectory, Iceland had awesomely delicious butter. The better restaurants seemed to serve it whipped and provided generous portions (which I was appreciative of). On the whole, the dairy in Iceland (cheese and milk) was not impressive. But whatever they are doing to get their butter is working and it would be criminal to consume the bread without slathering it in butter. 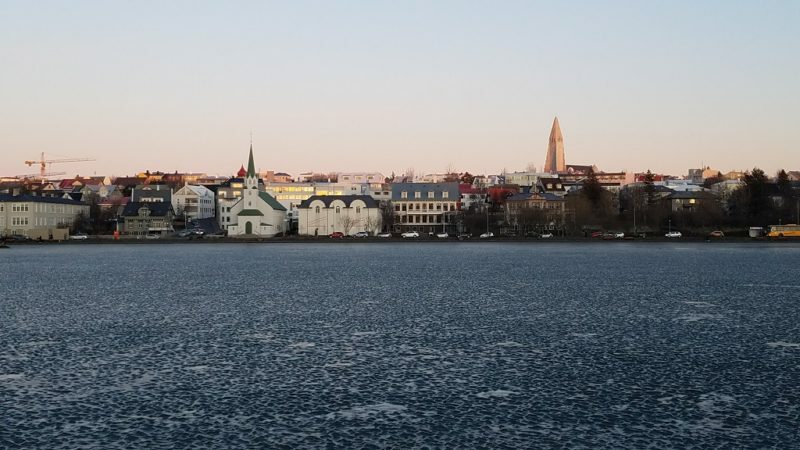 If Reykjavik were anywhere else in the world, it would not be notable, as the whole town only has 112,000 people. But it is the capital of Iceland and the northernmost capital in the whole world. And annually, 2,000,000 tourists fly through there. So regardless of what else you do in Iceland, spending a day in Reykjavik is warranted. Depending on how long your visit is, then more than one day is warranted. The architecture is not uniform. In fact, it attempts to emulate a lot of different styles from other parts of the world, although mostly Europe. The most common building material is cement and aluminum siding. So, while any one building cannot compare in splendor to the churches and castles you will see in Italy and France – the buildings in unison have an eclectic way of fitting together. Blend some plaid, polka dot and paisley and voila – you have Reykjavik. 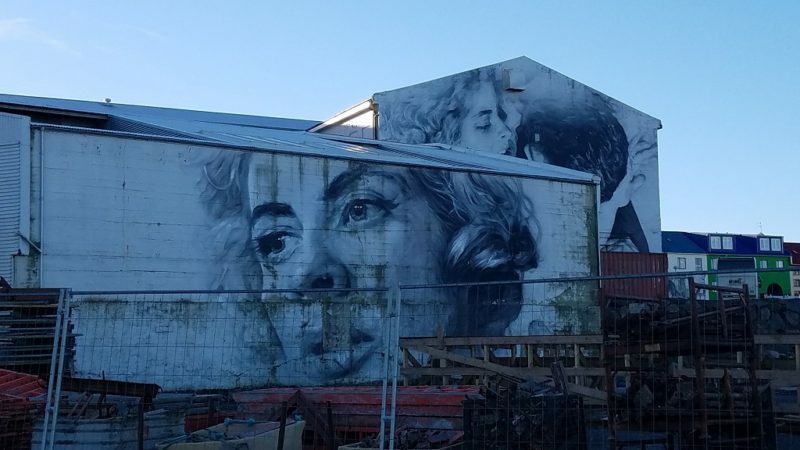 Murals adorn the buildings and many of them are really quite good. The downtown has two main streets, each lined with all things Icelandic. Wool sweaters, souvenirs made of lava, fabulous photography of the scenery, breweries and bars galore, bakeries, little museums. Speaking of museums. I bet you have never visited a Phallological Museum. 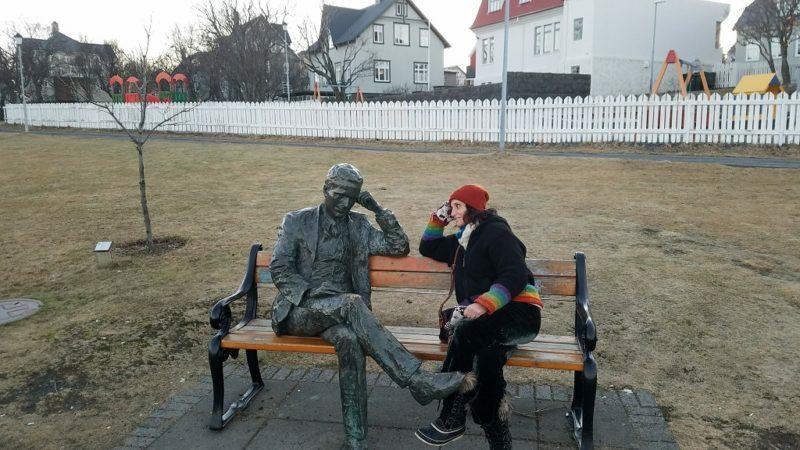 I had not until I was in Reykjavik. 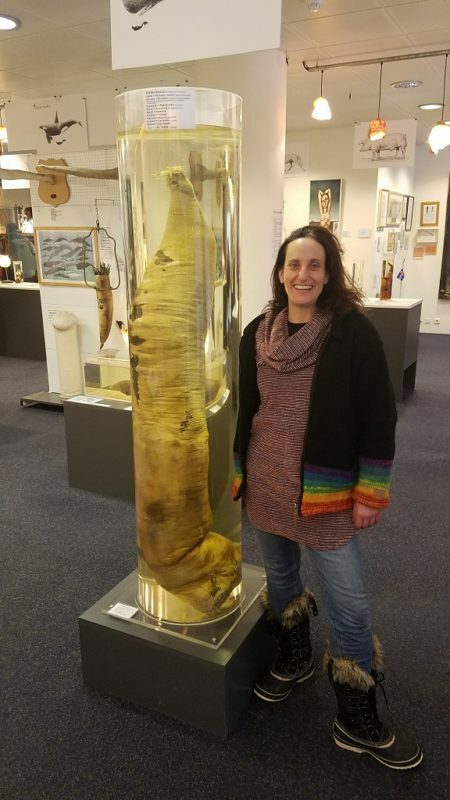 And now I have seen almost 300 specimens of penises all in one place. It is worth visiting just for making jokes, although it actually was kind of interesting in its own right. Compared to the rest of the country, Reykjavik has a vibrant food scene. 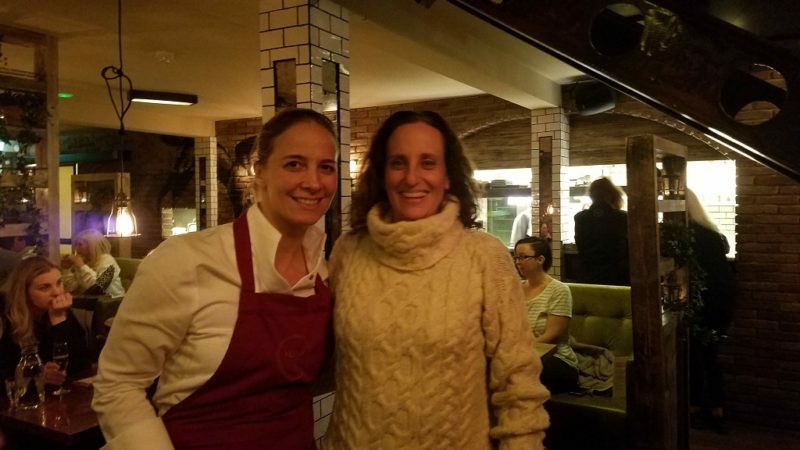 I was there during the Food and Fun Festival where chefs were imported from other countries to work with local restaurants and create a special menu. Regardless of what time of year you visit, perusing the Food and Fun Festival website will give you a sense of some of the better restaurants. Dill is Iceland’s only Michelin starred restaurant. 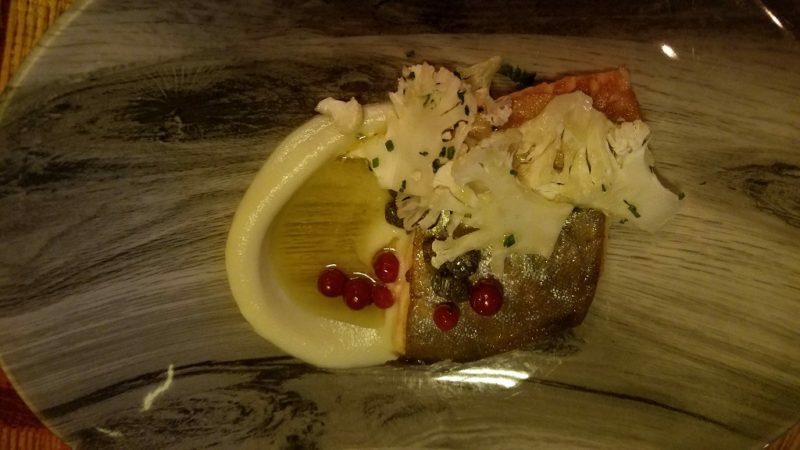 If you are desiring a casual atmosphere, with an upscale meal focusing on fresh Icelandic ingredients, then get your reservations in early. It will be worth it. My favorite little food corner in the city was in Hlemmur Mathöll. It is an enclosed food court, comprised of ten different eateries. Ranging from a café, to a bakery, to Icelandic sandwiches, to Mexican, to soups and smoothies to ice cream and so on. Once I discovered it, I found a reason to visit Hlemmur Mathöll daily for one reason or another. And across the street was some of the best Thai food I’ve tasted (excluding in SE Asia), at Mai Thai. Reykjavik and the surrounding area has seventeen swimming pools! This is what makes this city unique. Laugar Spa, which is attached to Laugardalslaug pool, is a real treat. Vesturbaejarlaug was pool with the most local vibe that I checked out. Reykjavik is right on the water. As you may expect, there is a pedestrian pathway that runs for miles. It makes for an excellent place to stroll day or night. Similar to the malécons in Latin America, but instead, people are bundled up. There are not many must dos in Reykjavik. Yet there are lots of fun things to partake in and admire. So, you can get around on foot and peruse at your own pace. Dipping in and out of the shops, restaurants and museums and embracing all things quirky. 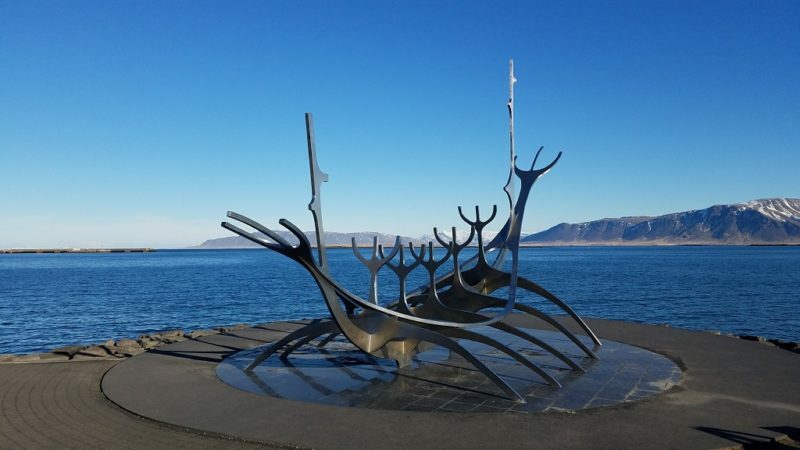 Have you had a chance to visit and discover your Top 5 Things to do in Iceland?